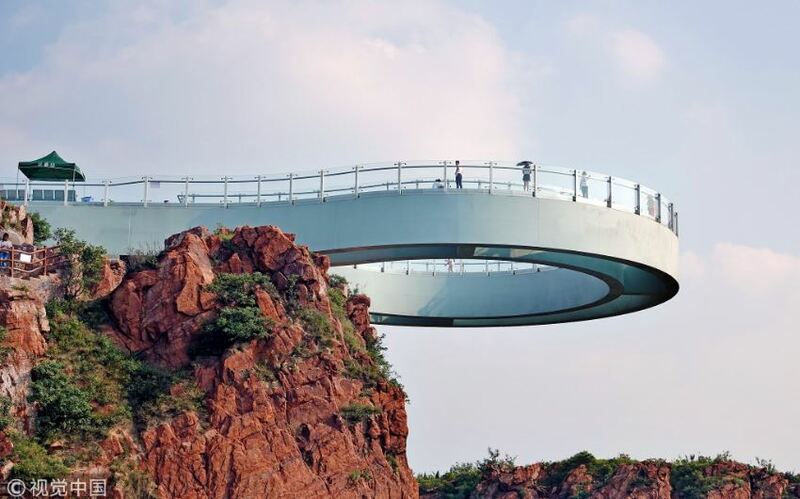 China has officially opened to the public the world’s longest glass circular bridge. The bridge which has already attracted dare devil enthusiasts is located in central China’s Henan Province. The 360-meter high skywalk at Mt. Fuxi projects 30 meters out of the cliff. It is very terrifying to look down through the translucent glass floor. Some people were seen scaling with their bottom very fearful of walking straight on the glass floor. The Bride is expected to attract millions of tourists from across the globe looking for a thriller experience.